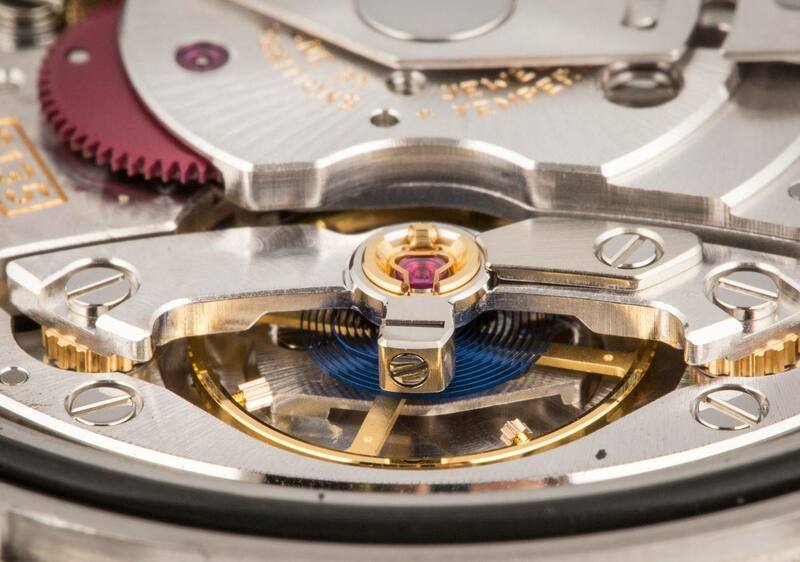 What is Rolex’s Parachrom Bleu Hairspring? If you’ve read up on any of Rolex’s output from the beginning of this century, you will have likely come across seemingly endless references to their patented Parachrom Bleu hairspring. Rolex’s Parachrom Bleu Hairspring is an achievement that was heard by nearly all watchmakers. Used on modern Rolex watches, it is an innovation that has gotten a lot of attention over the years, so if you have been wondering what all the fuss is about, we have put together this article to give you the lowdown on exactly what it is and just why it is so impressive. 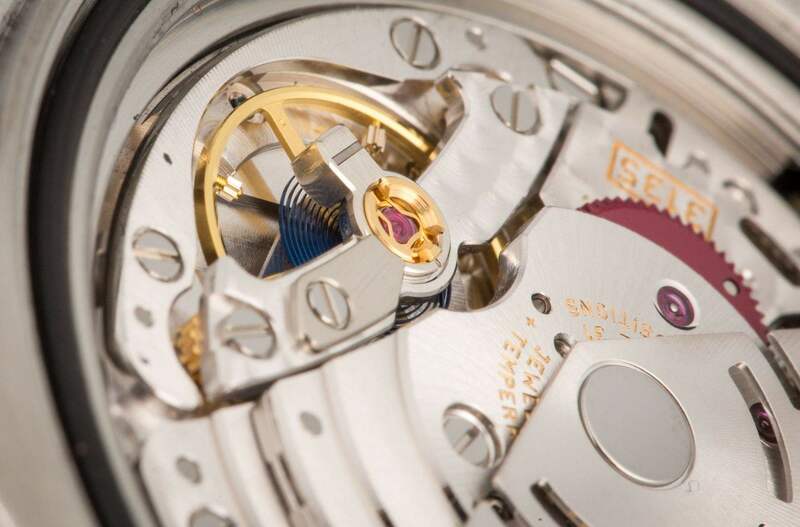 The hairspring in a watch is a coiled strip of metal that resides in the center of the balance wheel. The hairspring in a mechanical watch is an incredibly thin coil of wire which, mounted in the center of the balance wheel, forms the balance assembly, otherwise known as the oscillator. It is the hairspring that keeps the balance wheel undulating back and forth at a precise rate as it locks and unlocks the escapement’s pallet fork, regulating the progression of the watch’s hands much like a pendulum. Each movement of the balance advances the gears a set amount. It is a system that has existed, in one form or another, since its invention nearly 350 years ago. So the hairspring is one of the most vital aspects of a caliber’s accuracy, and its frequency must be kept as constant as possible, despite the effects of outside influences such as temperature variations, shocks, and magnetic fields. It is for this reason that the materials used in the construction of hairsprings are so important. 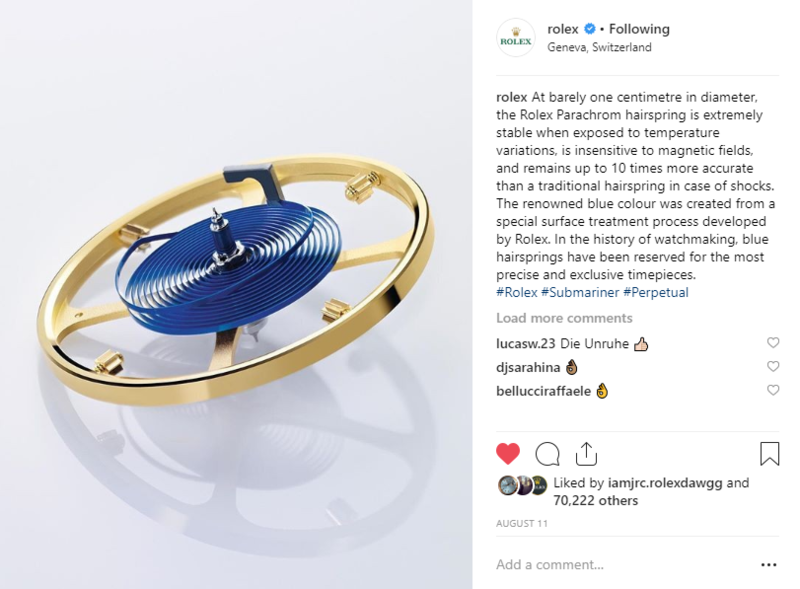 The Parachrom Bleu hairspring increases the reliability of Rolex’s watches (Image Credit: Rolex Instagram). Until very recently, the Swatch Group-owned company, Nivarox held the virtual monopoly on hairspring manufacturing for the Swiss watch industry, producing components for the vast majority of companies, including Rolex itself. The alloys they create, also called Nivarox (an acronym for Nicht Variabel Oxydfest, or Non-Variable Non-Oxidizing) come in a variety of makeups, depending on their intended use. A stainless steel base with high concentrations of cobalt, nickel and chromium, along with trace amounts of titanium and beryllium, these alloys are used extensively by luxury watch manufacturers; however they can also be found in extreme precision surgical instruments and across different applications within the medical field. The Nivarox alloys carry a grade between 1 and 5, with 1 being the highest quality. Only grades 1 to 3 are used in watchmaking, and their constituent materials make them naturally hard wearing, with a low rate of thermal expansion and a good level of antimagnetic properties. However, in Rolex’s eyes, there were still improvements to be made. They wanted to produce their own hairspring alloy, partly to ensure that it would be in-line with the brand’s extraordinarily demanding standards, and partly to bring the manufacturing of hairsprings completely in-house, along with the rest of the construction process. A demonstration of just how much of a challenge it was to develop the Parachrom Bleu hairspring is evidenced by the fact that Rolex employs some of the finest metallurgists, physicists and micro-engineers in the world, and it still took their combined brain power five years to come up with Parachrom. Finally arriving in 2000 inside the Daytona’s first ever, Rolex-built movement, the superb Caliber 4130, the Parachrom Bleu hairspring is made up of two elements which sit side by side on the periodic table: niobium and zirconium. Parachrom Bleu hairsprings are insensitive to magnetic fields and significantly more stable when subjected to shocks or temperature fluctuations. Zirconium is an easily malleable transition metal which is commonly used in environments prone to corrosion. You will find it in pipe fittings and heat exchangers, as well as catalytic converters, and it is often used as a hardening agent in steel alloys. Niobium is one of the five major refractory metals (those with very high resistance to heat and wear, alongside tungsten, molybdenum, tantalum and rhenium) and as such, it has been used in jet engines and pipeline construction. It has a shiny white appearance but, interestingly, forms an oxide layer when exposed to the air, which changes color depending on the coating’s thickness. In most alloys, niobium is used in tiny amounts, but in Rolex’s hands it makes up some 85% of the Parachrom Bleu hairspring, with zirconium making up the remaining 15%. Together, they make the component completely paramagnetic, virtually unaffected by temperature changes, and up to 10 times more resistant to shocks. 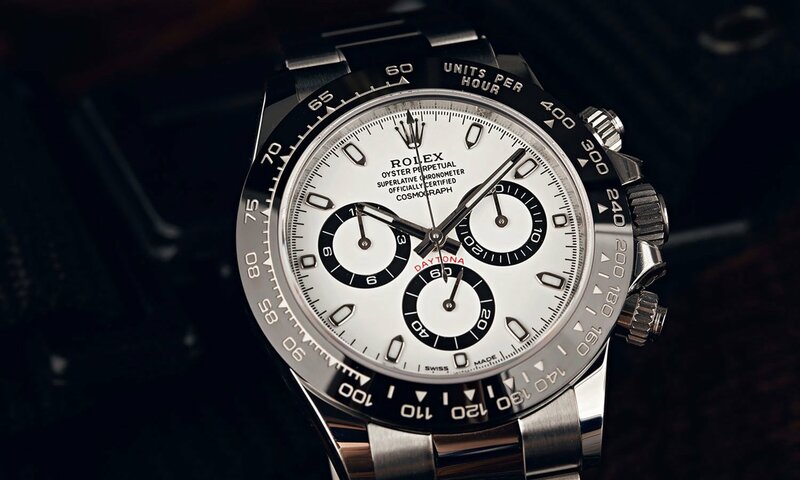 The Rolex Daytona was the very first watch to receive a Parachrom Bleu hairspring. 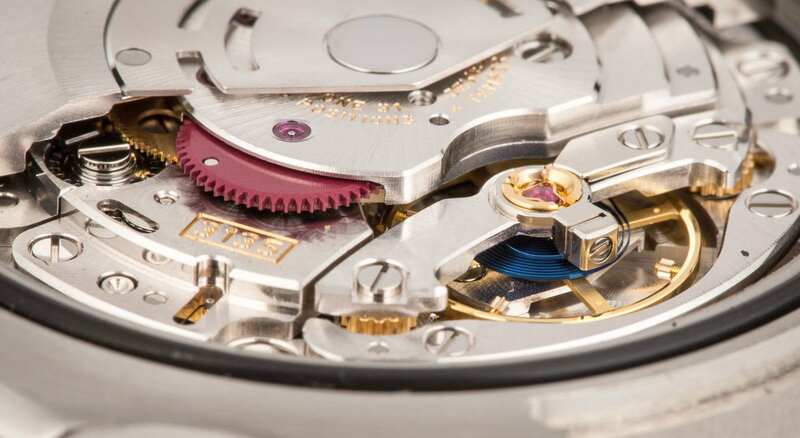 Five years after it was introduced, Rolex modified the surface structure of their hairspring to thicken the oxide layer to between 50-100nm. The goal was to increase the stability of the spring even more, and had the offshoot effect of turning it a distinctive blue color – hence the Parachrom Bleu name . That version of their hairspring has since been on an ongoing rollout across the entire catalog. In the company’s own words, “Historically, the unique blue color of the hairspring has been a sign of prestige reserved for only the most accurate timepieces.” Which is fair enough, although there isn’t a single model using one which has a display case back to let the wearer observe their blue hairspring in action. Still, it’s nice to know it’s there! Parachrom Bleu hairsprings get their distinct color from a specialized surface treatment. The tolerances involved in making the Parachrom Bleu hairspring are incredibly precise. It is a process which takes several days and goes through a number of phases, all while keeping variations in the spring to within 0.1 microns. If you were wondering just how fine 1/10th of a micron is, it is about one-thousandth the diameter of a human hair. To begin with, the niobium and zirconium are bonded together at tremendous temperatures, around 2400°C, in a high vacuum environment. In the depths of Rolex’s central Plan-Les-Ouates laboratory lies their own foundry, where the metals are passed through the furnace three times at 20cm an hour, under 5,000 volts. As soon as the resulting rod of fused metal emerges, it reacts with the oxygen in the air and turns blue. This foot-long shaft of metal, weighing less than a pound, can make up to 10,000 hairsprings. 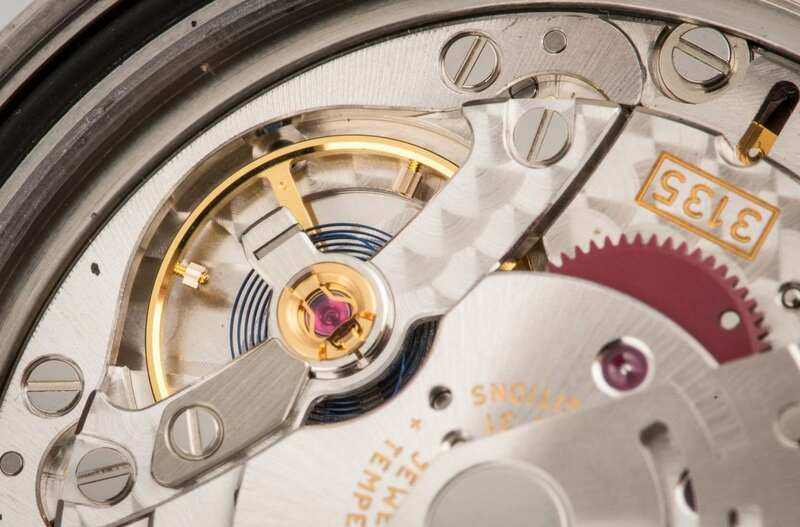 Rolex’s Parachrom Bleu hairsprings measure only 1/10th of a millimeter in diameter. It is then put through a die press a number of times, until that initial rod has been transformed into a strip nearly two kilometers long and 1/10th of a millimeter in diameter. The final pass through the press reduces it even further, down to 150 microns wide and 45 microns high, where it is then cut into 22cm lengths. This ribbon of metal is then curled using a hairspring template, finished off with a Breguet overcoil, and then fitted to the balance wheel. It is the pinnacle of precision engineering, with the integrity of the spring checked every step of the way. To give you an idea of the level of fastidiousness required, an imperfection measuring just one micrometer can result in a watch running fast or slow by around 30 minutes a day. The standard at Rolex for average timekeeping variation for new watches is +2/-2 seconds per day. There is no doubt that the Parachrom Bleu hairspring is an extraordinary achievement and the product of a manufacturer at the height of its powers. The time, effort, and money poured into perfecting it has been astonishing, and ensures Rolex’s in-house calibers remain at the forefront when it comes to accuracy and resilience.